Autonomous printing represents the ultimate stage in automated print production. The patented Intellistart 2 operator guidance system from Heidelberg enables the fully automated job changeover - from the last to the first full sheet of the subsequent order to the start of the new production. All the required makeready processes have been automated and the presses are equipped with the Prinect Inpress Control 2 inline color measurement system. As with navigated printing, Intellistart 2 undertakes the job change, which in this case is performed without any operator intervention at all. The press automatically starts production and also autonomously decides when the defined quality parameters have been achieved and starts good sheet production. Besides Instellistart 2, a further software module is required here - Quality Assist. It can be used to set the corresponding quality parameters. Worfklow integration plays in this regard a key role. With Prinect, individual processes are optimatlly integrated into a digital workflow which increases productivity in a sustainable way. With which applications is autonomous printing compatible? Of course, not all print jobs can be produced today using a fully automated printing process. Examples of applications compatible with autonomous printing include all applications with group molds or signature changes where the order of sequences, the order of substrates and color assignments remain unchanged. In which area can autonomous printing be implemented today? 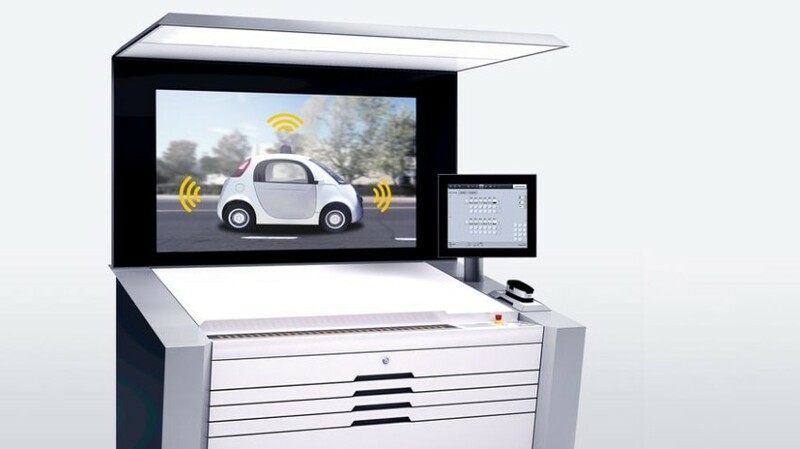 The primary focus, when implementing autonomous printing today, is the printing press - which represents the core of the print production workflow. However, solutions for fully automated printing also exist today in the area of prepress. For more information about automated production in the CtP area, read our article Non-stop plate production . About our color measurement systems. Whether measuring the entire print image or permanently displaying the color deviation ΔE during the production run, our color measurement systems offer a number of benefits. Navigated printing: how does it work? Similar to a navigation system in a car, our navigated printing features provide operators with the information necessary for the best possible workflow sequence for the job change.